Muriel Hooley is the newest member of the practice. Muriel comes to us with 10 years of experience in the financial services industry. 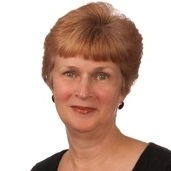 Muriel handles appointment scheduling for David Woolpert and assists with application preparation and processing. Prior to joining our team, Muriel worked as an office manager for a manufacturing representative for 5 years, and also has over 12 years of experience in retail establishments. Muriel resides in Nashua, NH, with her husband, William.